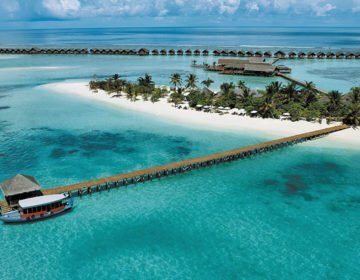 The necklace of islands that make up the Maldives is characterized by beautiful blue oceans and tropical islands with swaying palm trees and sugar-white sandy beaches. This spectacular archipelagic nation is home to a diverse array of wildlife, both on land and in the sea, ranging from tiny geckos to mammoth whale sharks. Being an ocean-locked nation, the majority of the wildlife in the Maldives is aquatic and there is an incredible diversity of sea life from numerous corals to over 2,000 species of fish, ranging from tiny, colorful reef fish, moray eels, turtles, and rays, to giant pelagic fish, such as tuna, sharks, dolphins, and whale sharks. Other marine life in the waters surrounding the islands includes octopus, squid, giant clams, various kinds of anemones and jellyfish. The few ponds and marshes on some of the islands have freshwater fish like the milkfish (Chanos Chanos), tilapia and smaller species, and saltwater crocodiles have been known to reach the islands and dwell in marshy areas. Due to the small size of the island nation, there are very few land-based mammals, amphibians, and reptiles, most of which are widely distributed throughout the atolls. 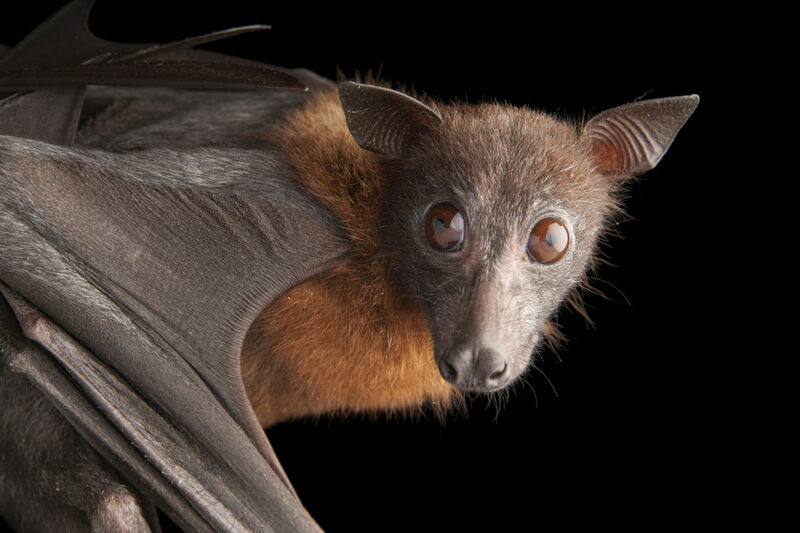 There two species of fruit bat, Indian flying fox (Pteropus giganteus ariel), and a sub-species of variable flying fox (Pteropus hypomelanus maris), as well as Maldivian garden shrews, which are locally known as hikandhi (Tupaias). Cats, rats, and mice have been introduced by humans, often invading the uninhabited areas of islands and becoming pests, and it is strictly forbidden to bring domestic dogs to the Maldives. The Maldives features two species of geckos (Hemidactylus spp.) and two agamid lizards, including the common garden lizard or bloodsucker (Calotes versicolar). Also found on the islands are the snake skink (Lygosoma albopunctata), the common wolf snake (Lycodon aulicus), a small harmless blind snake (Ramphotyphlops braminus), a short-headed frog (Sphaerotheca rolandae), and a bigger toad (Bufo melanostictus). 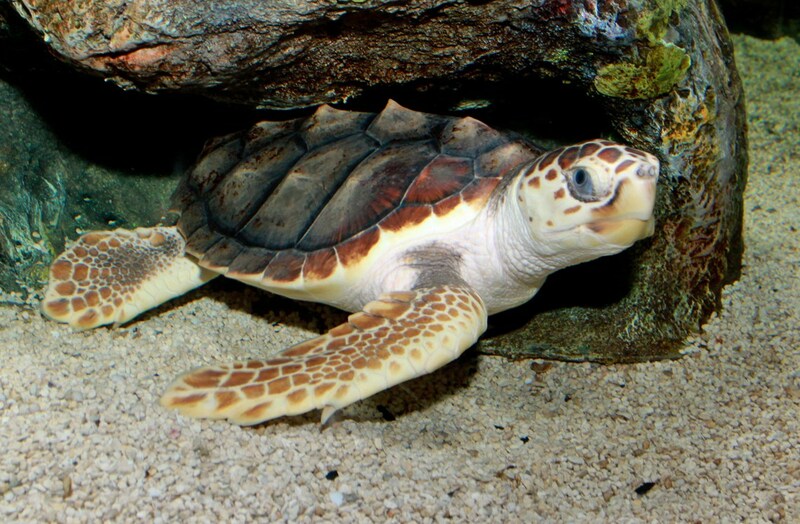 The Maldives is home to five of the world’s seven species of sea turtles, two of which are regularly seen, namely the critically endangered hawksbill turtle (Eretmochelys imbricata), and the endangered green turtle (Chelonia mydas). The Olive Ridley turtles (Lepidochelys olivacea) are sadly most often found in Maldivian waters after becoming trapped in drifting ghost fishing nets, while the two species more rarely spotted are the loggerhead (Caretta caretta) and the leatherback turtle (Dermochelys coriacea). The islands are important nesting sites for the endangered green turtle (Chelonia mydas), and there are many conservation programs in place that protect these nesting sites and the tiny hatchlings that emerge from them. Due to the oceanic location of this Indian Ocean archipelago, the avifauna of the Maldives consists mainly of pelagic or seabirds. There are over 100 species of birds around the islands, 36 of which are seabirds, such as the seasonal frigate birds, and white terns. Other bird species that inhabit the marshes and island bushes include the grey heron, various species of plovers, sandpipers, godwits, stints, and gulls, as well as swifts, doves, pigeons, sparrows, swallows, and shrikes. 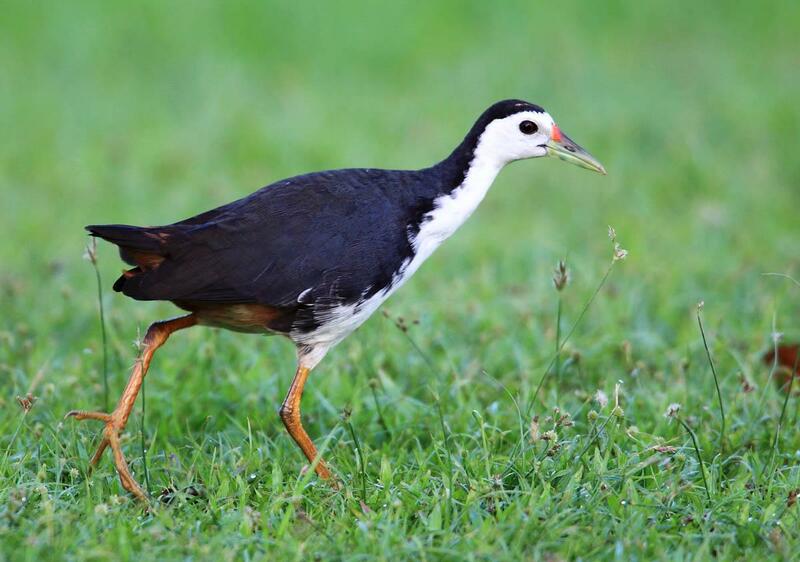 The national bird of the Maldives is the white-breasted waterhen (Dhivehi kabili). There are several species of land-based arthropods (an invertebrate animal with an exoskeleton (external skeleton), a segmented body, and paired jointed appendages) in the Maldives, namely centipedes, millipedes, scorpions, and spiders. There are several spider species, including the brown huntsman spider (Heteropoda venatoria), lynx spiders, and black widows, which are occasionally found on Hulhumalé island and Malé International Airport. The archipelagic nation is home to a diverse array of marine wildlife, ranging from mammals, fish, mollusks (clams, octopuses, and squid), arthropods (crabs and lobsters), echinoderms (starfish, brittle stars, sea cucumbers, and sea urchins), and coelenterates (anemones and jellyfish). 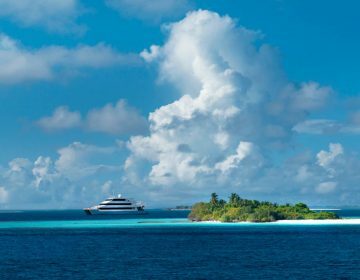 The waters surrounding the islands of the Maldives are home to more than 2,000 species of fish, far exceeding biodiversity seen in most other regions. 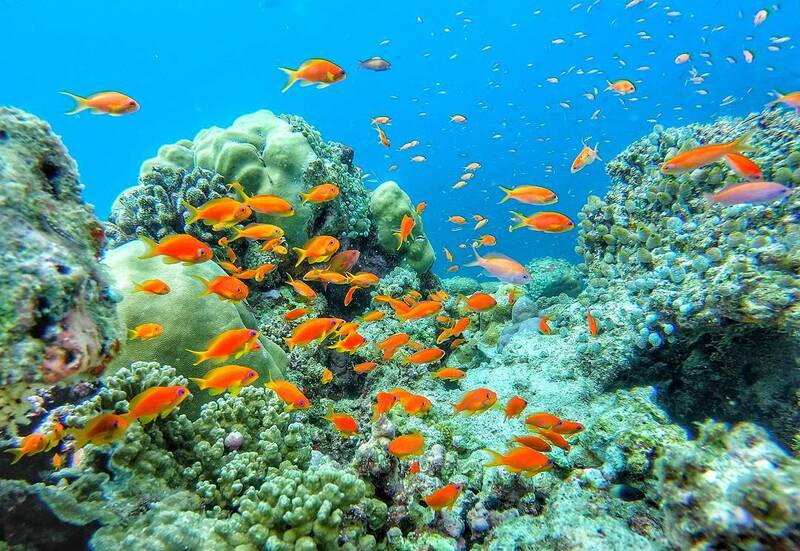 Despite the abundant fish fauna, Maldives has very few endemic species, however, the vast diversity of aquatic life from tiny reef fish to huge pelagic hunters attracts divers and snorkelers from around the world. 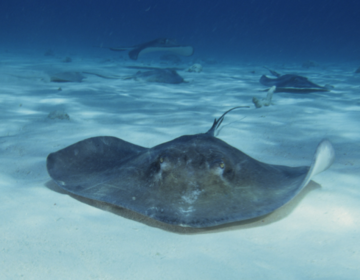 Prevalent fish species include guitarfish, a variety of rays, including eagle and fantail rays, whip rays, and massive manta rays, moray eels, triggerfish, porcupine fish, giant trevally, yellowfin tuna, grouper, barracuda, snapper, batfish, and butterfly fish, among many others. The national animal of the Maldives is the yellowfin tuna (Thunnus albacares). The Maldives has 23 recorded species of cetaceans (whales, dolphins, and porpoises), which are protected under Maldivian law. The most frequently observed cetacean around the islands is the spinner dolphin (Stenella longirostris), which follows a distinctive daily pattern by traveling into the atolls in the morning to rest during the day and then back out around sunset to hunt at night. 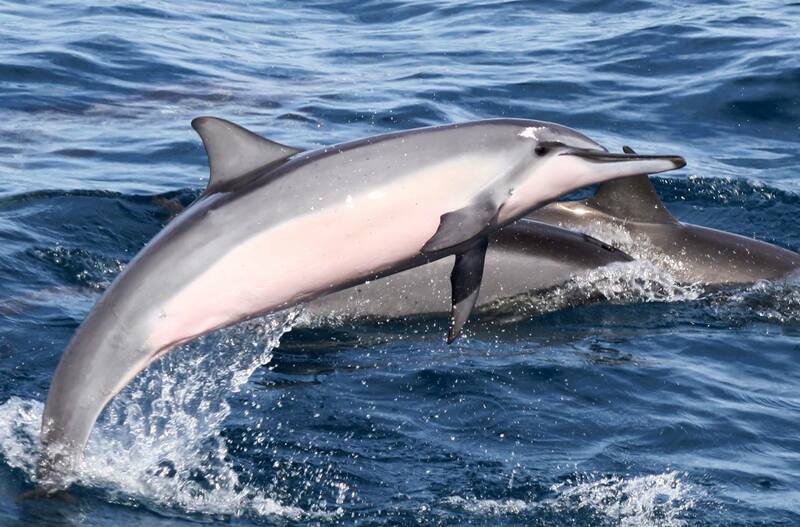 Other species of dolphins found in the Maldives include striped dolphins, pantropical spotted dolphins, rough-toothed dolphins, bottlenose dolphins, Risso’s dolphins, and Freser’s dolphins. Whale species include Bryde’s whales, blue whales, dwarf sperm whales, sperm whales, Blainville’s beaked whales, Cuvier’s beaked whales, pygmy killer whales, short-finned pilot whales, and false killer whales. There are 14 species of sharks in the Maldives, with the mammoth whale shark (Rhincodon typus) being a protected marine species since 1993. Shark species include white tip reef sharks, black tip reef sharks, grey reef sharks, silver tip sharks, oceanic white tip sharks, silky sharks, blue sharks, tiger sharks, scalloped hammerhead sharks, great hammerhead sharks, short fin mako sharks, whale sharks, variegated sharks, and tawny nurse sharks. The whale shark is the largest fish in the sea, reaching lengths of over 40 feet, and filter-feeding on plankton, and tiny fish. These gentle giants cruise languidly around along close to the water’s surface with their colossal gaping mouths open to catch these small plants and animals, and are one of the top attractions in the Maldives, attracting snorkelers and divers from around the world to see and experience swimming with them in the water. Marine-based arthropods in the Maldives include four species of lobsters, many different species of crabs that live in the sea, on muddy reef shelves (fiddler crabs), on the shoreline in holes burrowed in the sand (ghost crabs) and under the leaves of shore bushes (hermit crabs). Other arthropods in the islands include shrimp, and prawns, which are a culinary delicacy in many of the resorts. 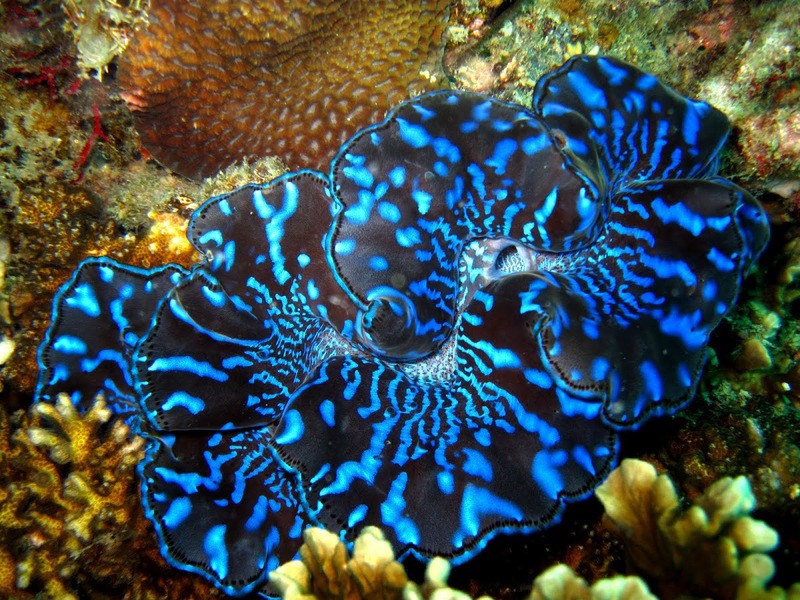 Octopuses, squid, and clams are common on Maldivian reefs, with the beautiful giant clam (Tridacna gigas) frequently found on the reef shelf. 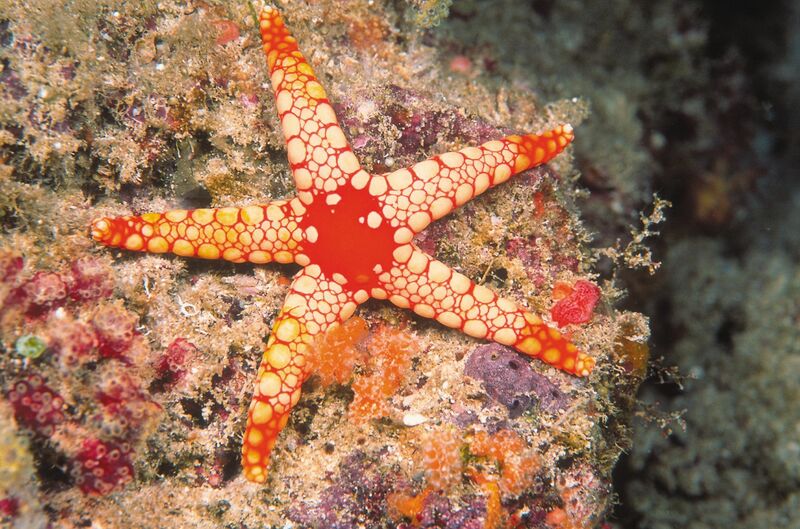 The Maldives reefs teem with echinoderms such as star fish or sea stars (Asteroideae), sea urchins, brittle stars (Ophiuroidea), and sea cucumbers (Holothuroidea), which are currently in decline due to massive over-fishing and illegal poaching. 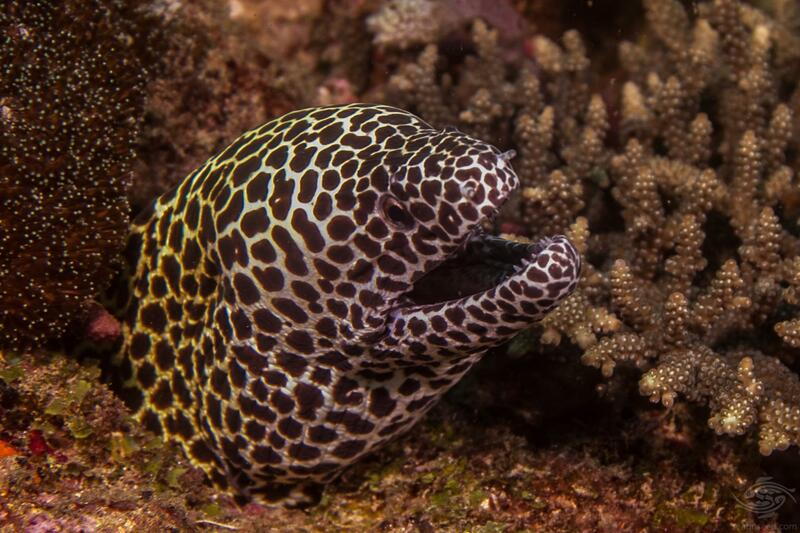 There are also several species of coelenterates – anemones and jellyfish – in the Maldives’ waters. Tracts of mangroves lie between land and sea and have long roots that plunge into the water, tolerating the sea water and high salt content. The pandanus tree, also known as a screw pine, grows to heights of over 25 feet and produces red-orange fruit which is used in certain types of food. 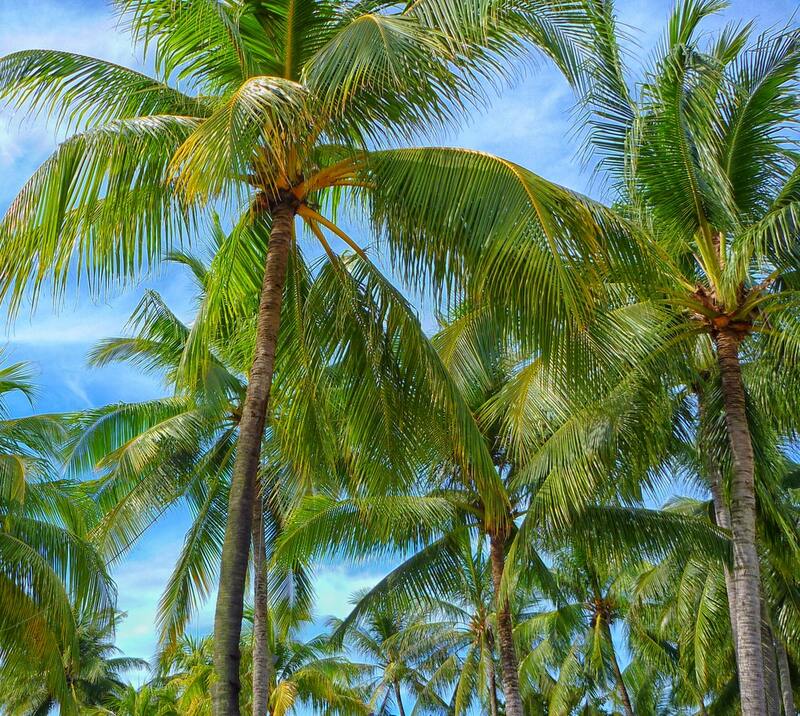 The coconut palm is the national tree of the Maldives and can be found all over the islands, growing to heights of over 80 feet and producing produce coconuts, leaves, fibers and wood, all of which are used for various things from food to rope-making. 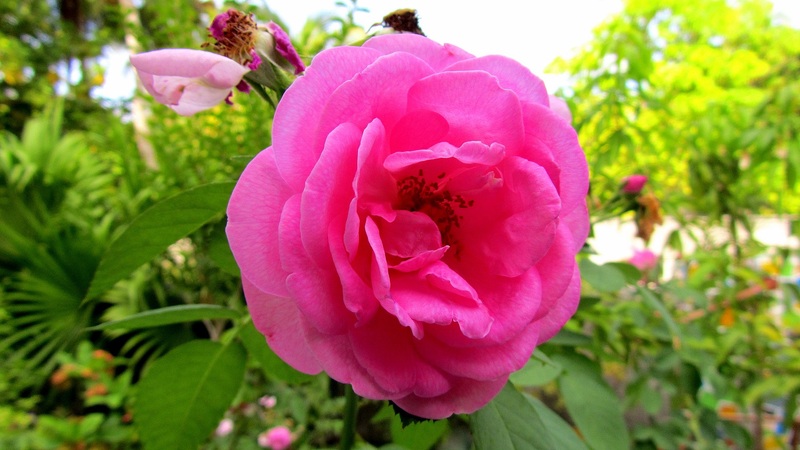 The Maldives also features some beautiful ornamental flowers such as bougainvillea, hibiscuses, and frangipanis, with the Pinkrose (Rosa polyantha) being the national flower.